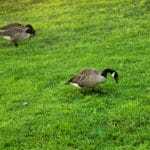 What Are Those Brown Patches on My Lawn? 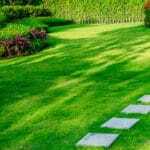 Many things can get in the way of your luscious green lawn, but one of the most frustrating things can be brown patches lurking in the middle of a seemingly healthy yard. 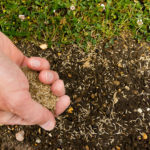 When the patch seems to show up suddenly, you might wonder if your yard is over- or under-watered, if a pet went potty there, or if you have a lawn pest like grubs. The answer might actually be simple and treatable. 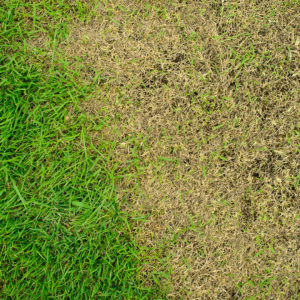 There are plenty of things that can cause brown patches in your lawn, but the most likely culprit is Brown Patch lawn disease, caused by a fungus called Rhizoctonia. While the disease can begin to show at 65 degrees Fahrenheit, it grows rapidly when the temperature gets above 80 degrees with high humidity. That’s why it can seemingly show up overnight. The fungi survive the winter in plant debris and then enters the leaf tissue of grass blades through cuts caused by things like mowing. While it might appear to grow overnight, it has actually been growing slowly for a while. This disease spreads fast, so it’s important to take action immediately. A fungicide lawn treatment program should be started right away. Also, mow less often so your lawn has a chance to heal. You’ve come to the right company! 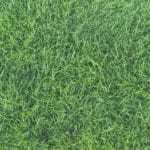 At Green Lawn Fertilizing, we specialize in creating the greenest lawns on the block. We offer a Green Lawn Program that includes eight applications throughout the year to give you that yard you’ve always desired. Call us today at 888-581-5296 for a free quote.